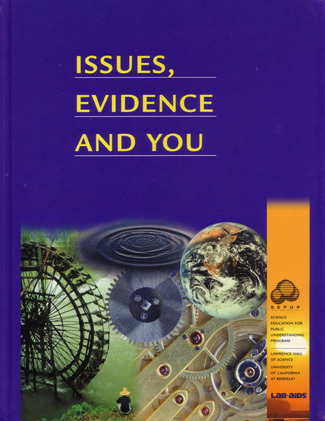 Issues, Evidence and You (IEY) is a middle level physical science program that examines issues in a societal context. The program treats issues in a way that fosters and promotes the ability of young adolescents to think abstractly, and builds upon their need for peer interaction and support. It can serve as the physical science component of an integrated, multi-year science program, or as a stand-alone, full year physical science program. The course consists of 60 activities, each requiring one to three class periods. This course can accompany Science and Life Issues, and Issues and Earth Science to form a complete middle level science series.